Tomorrow’s Natural Resource Commission (NRC) meeting will be held at the Outdoor Adventure Center in Detroit, MI. The Outdoor Adventure Center is located at 1801 Atwater Street, Detroit, MI 48207. If you are unable to attend this month’s meeting, join us online at MUCC’s Facebook page where we will be live streaming at 1:00 pm. The day will start at 9:00 am with a tour of the Outdoor Adventure Center. The tour will be followed by the NRC Marketing, Partnership, Youth and Outreach Advisory Committee. On the agenda is improving DNR diversity through the career pathways program and an update on the Iron Belle Trail. The committee will also be discussing the Michigan State Parks Centennial plan and Pure Michigan campaigns. The NRC Policy Committee on Wildlife and Fisheries will be meeting at 1:00 pm. On the agenda is a fisheries update discussing the fisheries orders up for information and action. This will be followed by a wildlife update which will highlight an order to regulate the use of the Brandt Road Fen for the poweshiek skipperling (a North American butterfly) at Holly State Recreation Area. At 2:00 pm the NRC Committee of the Whole will have a Director’s update and updates from the previous committee meetings. The only item up for information is fisheries order 200.19. As written this order would extend the limit of brook trout from 5 to 10 on certain designated trout streams in the Upper Peninsula. This item is up for information again due to the likely amendment that will take place omitting the extended limit of brook trout. Up for action includes a fisheries order with warmwater regulations that would reduce the perch limit from 50 to 25. 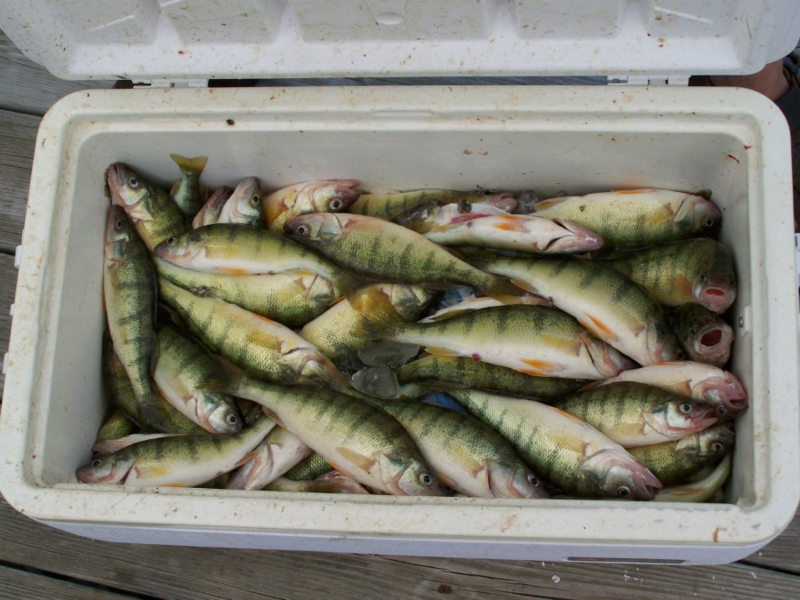 MUCC supports this regulation in order to ensure a sustainable perch population. At last months meeting, MUCC suggested to the NRC that within the bag limit there should be no more than 5 perch exceeding 12 inches. The NRC has not adopted this suggestion and the fisheries order will be taken action on today. Also up for action is a fisheries order that will lift the restriction of drop shotting on drowned river mouth lakes. However, this regulation will ensure that the hook size when drop shotting is ½ inch or less, with the distance measured from the point to shank. This regulation was put into place decades ago to protect the high prevalence of salmon, which is much higher than it is today.